Something New is About to Emerge! 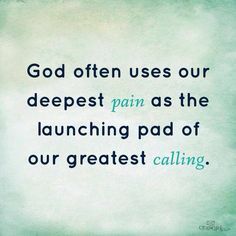 Isaiah 66:9: “I will not cause pain without something new to be born,” says the Lord. God will never bring a situation that is beyond our control! This word confirms that God would not allow to bring pain to us if He is not getting ready to bring something new into our life! Everything that you have faced, encountered, and struggled with throughout 2015 is getting ready to be dismantled at the hands of your blessing! We are about to end 2015, and I believe that greater things are about to emerge. There is a spiritual warehouse getting ready to open and release thousands of blessings that have been on hold for the perfect timing! This is the reaping season, in Jesus’ name! All the times I’ve been upset. As I am jumping into this movement. I’m hungry for this awesome new of God. Jordy, what a sweet and simple, yet powerful, encouragement!